Come join us as Bigelow pulls into the station with loads of fun for you. It is time for the "Digi of the Month" challenge here at Deedee's Digis! 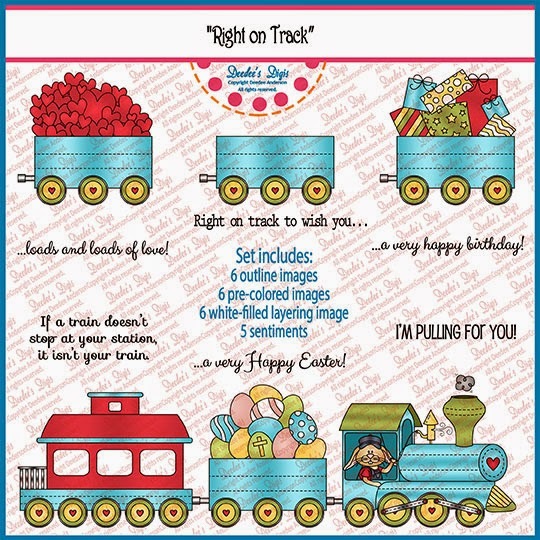 This month our featured set is "Right on Track". Bigelow has plenty of options of what to bring so this digi can be used for lots of occasions. If you participated in last month's challenge, you should have already received this set in your email. (If you participated but didn't receive the set, please contact us at deedeesdigis@gmail.com -- sometimes things do go wrong with email). If you did not participate in last month's challenge, you can still purchase this set for just $1.25 this month at our shop. You can find it HERE if you are a resident of the European Union, or find it HERE if you are NOT a resident of the EU. Some of our designers made projects to help get you thinking about how you might use this set. We'll have more inspiration each week throughout the challenge as well, so be sure to check back. Now it's your turn! 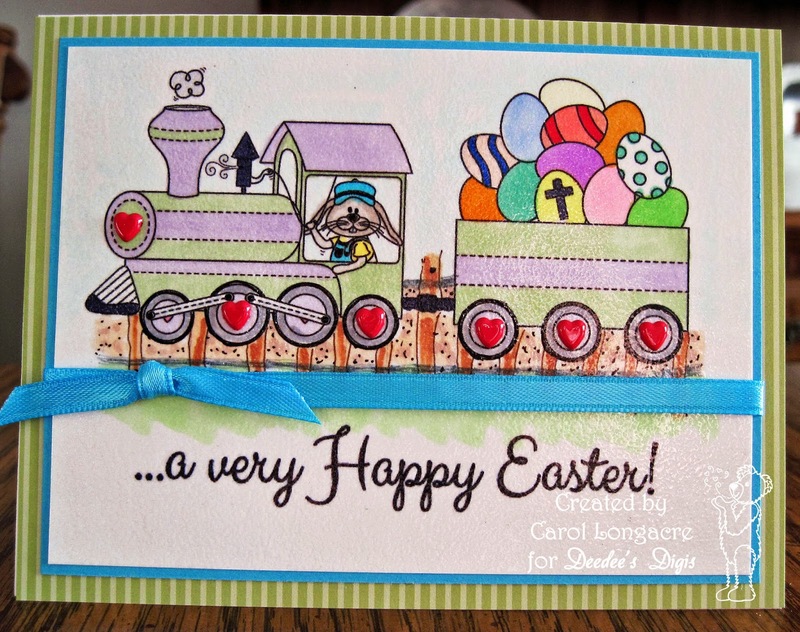 To join this month's challenge, please make any wholesome project using this set, and then link directly to your project using the linking gadget at the bottom of this post by 11:55 pm Pacific Time on Sunday, 29 March 2015. If you are inspired to make more than one project we would love to see them all...no limit on times you can enter! You must make at least one project and link it up below to get next month's featured set emailed to you. We can't wait to see what you all make! This was such a fun set to work with and will be using it many times over. Lovely DT samples! Such a cute set - thank you! I'll be back to play along! Thank you for another challenge and great free set. Lovely cards by the design team. A big thank you for another great digi set - I really love this one.